The Gulf Centre for Human Rights (GCHR) welcomes reports that writer and online activist Abdullah Habib was pardoned and released from prison in Oman while serving a six-month prison sentence. He was not due for release until the beginning of October 2018. On 13 June 2018, Habib was released from the shelter center at Samail Central Prison after he was included in the amnesty issued by Omani ruler Sultan Qaboos on the occasion of the Eid Al-Fitr that followed the end of the holy month of Ramadan. 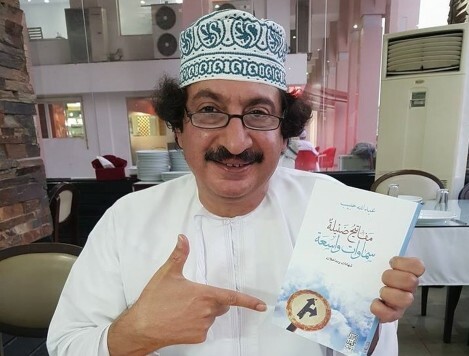 Habib was imprisoned for six months after the Appeal Court in Muscat upheld his sentence on 02 April 2018. The Appeal upheld the primary sentence of three years in prison against Habib, however, it suspended two and a half years of the sentence. Habib was charged with violating article 19 of the Information Technology Crimes Act for “using the Internet in what would prejudice the state public order” in addition to “contempt of religions.” They are charges that are often imposed on human rights defenders including Internet activists. On 08 November 2016, the Court of First Instance in Muscat sentenced Habib to three years in prison and a fine of 2000 Omani Rials (US$5200). Bail was set at 1000 Oman Rials (US$2600). Habib was arrested in Muscat on 15 April 2015 by the Special Division of the Omani Police General Command, which is the executive arm of the Omani Internal Security Service (ISS). He was not allowed access to his family or lawyer and was only released on 04 May 2016. His arrest and the trial are related to his writings on Facebook in which he expressed his views, in addition to defending the people’s rights in Oman. Habib is a well-known writer and cinema critic who is 53 years old. He has produced many short films and published a few books in addition to many articles in the national newspapers. He has received many awards for his work. While welcoming the pardon and release of Habib, GCHR expresses serious concern at the targeting of Abdullah Habib, who should never have been arrested and charged in violation of his right to freedom of expression. Guarantee in all circumstances that all human rights defenders, writers, bloggers, journalists and Internet activists in Oman are able to carry out their legitimate human rights activities without fear of reprisals and free of all restrictions including judicial harassment, in order to open up civic space in the country.